We will not use or share your personal information in ways unrelated to the uses described above unless we provide you with prior notice and give you an opportunity to change your usage preferences.Unless you give us prior consent, we will not trade, sell, or share your personal information with any person or entity other than Fit-Rite Uniform Co., our affiliates and representatives, unless required by law or as disclosed to you before the information is collected.For certain promotions or product requests, we may share your information with an outside company for the sole purpose of fulfilling your order. These companies are carefully selected by us and also take the protection of your personal information seriously. To modify your personal information, contact us at support@fitriteuniform.com. 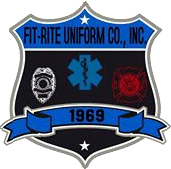 We will make every effort to respond to your requests in a timely manner.If you have already submitted personal information to fitriteuniform.com, you may opt-out of the company's future use of that information by sending an e-mail to support@fitriteuniform.com. Upon receiving your request, we will delete your personal information from our records. Fitriteuniform.com offers you the opportunity to choose whether or not you prefer to receive marketing materials via e-mail by sending us notice at support@fitriteuniform.com. You may update this preference at any time. Please allow us sufficient time to process your change of preference.